We are an elite group of world class MMA investors that make the right moves on fights for the biggest profits. Were not those guys that lay huge chalk, we deal with value & keep plays limited for maximum profits. This hedgefund is growing larger thanks to the growth of our clients over the last 5 years. We specialize in MMA b/c we have the knowledge of the sports, connections throught the world in training camps, we are the ones that get the undisclosed injuires & issues that dont go public so we can make the best educated decisions for our clients. We normally charge a comission on profits but now you will have access here with the same information that our priviate clients get. This is the modern way to go with sports investing today. We now are branching out into all sports so we can provide our clients with large ROI. We predict NFL, CFB, MLB, NHL, NBA using a mathematical algorithm based on statistics. 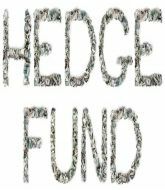 Join the hedgefund today & begin building your future with us.